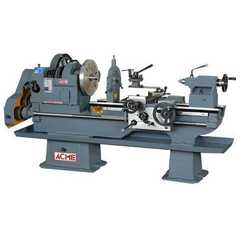 The all Geared Lathe Machines that we supply are precisely configured to display accurate results. 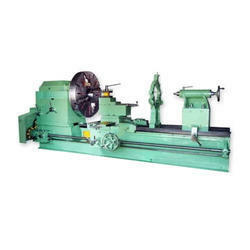 Pure variety raw material such as stainless steel and alloy are prominently used in making these geared lathe machines. 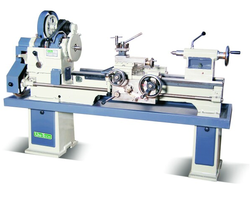 With excellent smoothness & perfection, all geared lathe machines exude perfect operating ability. Along with its production, we also facilitate our clients by customizing the entire array as per the specifications laid by them. Customers can avail from us an immaculate range of Pulley Type Lathe Machine, which is offered at nominal prices. This range of products is manufactured by using technologically advanced machinery and by utilizing the latest technology. Furthermore, these are tested on diverse parameters to ensure delivery of premium quality as well as zero defect products to the clients. We are pleased to present an impeccable range of Cone Pulley Lathe Machine.This exceptional range of products is manufactured in compliance with the international standards of quality and are subjected to stringent tests, so as to deliver a defect-free range of products to the clients. We supply Extra Heavy Duty Lathe Machine. 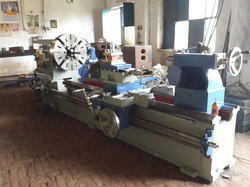 This lathe lathe machine is available in various technical specifications as per the requirements of our valuable clients. The provided machine is widely acknowledged by our esteemed clients owing to its long functional life and smooth operations. 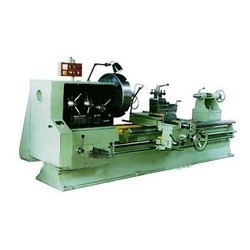 Furthermore, we provide this lathe machine to our clients at most reasonable price. We supply 20 Ft Heavy Duty Roll Turing Lathe Machines. 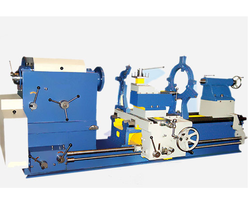 We are pleased to present an impeccable range of heavy duty roll turing lathe machine. This exceptional range of products is manufactured in compliance with the international standards of quality and are subjected to stringent tests, so as to deliver a defect-free range of products to the clients. We provide dimensionally accurate & durable V-Belt Driven Lathe Machines to our world-wide clients. The v-belt driven Lathe machine by us is massively demanded because of being highly energy efficient with an extensive working life. Manufactured on the lines of latest technological developments the v-belt driven lathe machines runs smoothly in several processing units. Heavy Duty Lathe Machines offered by Ess Kay Lathe Company is renowned throughout the world to give maximum efficiency and reliable performance under the most severe conditions of service with minimum maintenance cost. 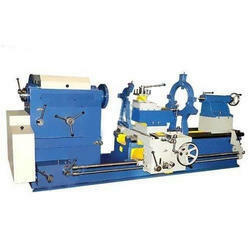 Heavy Duty Lathe Machine are famous for precision jobs, accuracy and trouble free performance. They have been designed to cater need of sustained accuracy and superb finishing. Looking for Lathe Machines ?